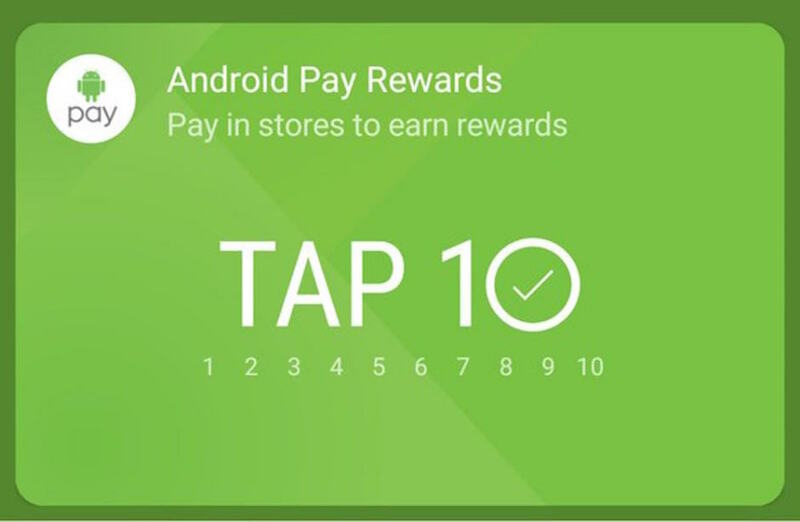 For a limited time and in the United States only, a new promotion called Google Tap 10 is now offering free rewards to users of the Android Pay mobile payment service. In essence, by making use of the Android Pay you can get things such as free songs, free movies, limited-time subscriptions on Google Play and even as much as a Google Chromecast TV stick. As the promotion name itself suggests, becoming eligible implies having used the Android Pay service at least 10 times by the time the promo is concluded – 11:59:59 PM on February 29th, 2016. Purchases must be made at least 10 minutes apart. Do that and you can win yourself one of the listed rewards via a promotional code which you’ll be able to use on the various platforms where said rewards are listed. You cannot win more than one reward during this promotional time. Considering the rewarding system is random and doesn’t give you a way to select the exact reward you wish for, it seems to all rely on luck. The ‘Tap 10’ promotion has not had a huge hassle made over since it wasn’t even officially announced by Google itself. The reason behind that was mostly the fact that it is a test program that was decided to be run by Google with a limited amount of users. That was also one of the reasons for which only a select few users even received the notification for it. Google has selected the eligible users at random so you may want to check out your phone and see if you’re one of the lucky ones. This is an initiative started by Google in an attempt to see if reward-based incentives and promotional programs such as Tap 10 can actually increase usage of the Android Pay service. It’s known that both Android Pay and Apple Pay have been facing the same issue ever since their inception. If the issue was originally the lack of near field communication capable point of sale terminals that kept the usage of tap to pay programs at a minimum, now it’s mostly customer behavior. Getting individual used to a whole new method of payment that wildly strays away from the classic swipe that has been used for decades along with the fact that even of mobile payment is a lot more wide-spread now but still scarce is still the kind of scenario where people still need a very long time until they can get used to it. No matter what the incentives for it seem to be, neither of the two supporting apps don’t seem to be able to win over more than just a measly few percent worth of interest increase in the service. On top of that, this isn’t even Google’s first attempt at increasing the level of interest individuals display towards using Android Pay. The company also held a promotion over the holidays where it promised to donate a certain amount to charity for every single Android Pay purchase.